Leverage our verified, accurate chief marketing officer (CMO) and VP of marketing email database when you buy and download our ready-made Marketing VP email list. Build targeted c-level marketing email lists into your marketing campaigns, approach sales leads, and connect with senior marketing professionals in any industry. Businesses require exceptional leaders to ensure the smooth management and operation of marketing strategies that align with business plans and organizational objectives. Our marketing executive email list allows you to contact these decision-makers directly and offer your products and support services to help them manage their advertising campaigns. Be prepared with a VP of marketing mailing list to make the most of your own team's marketing efforts and find the right sales leads. Our advertising and marketing VP email list is full of these potential leads waiting for your products, services, and solutions. Download this verified list of advertising and marketing professionals to connect with and leverage targeted sales leads. Purchasing our accurate and detailed marketing vice president email database allows you to elevate your own marketing, while helping others to do the same. Our ready-made business email database is comprised of CMOs and VPs of marketing, as well as other c-level advertising and marketing professionals. Not only will you find a targeted email list to source, but also other means of contact, such as telephone numbers, addresses, and more. When you buy a ready-made business contact database or build your own business contacts list, you'll also have the tools to effectively grow your business. With our B2B email list, you can build relationships, secure sales leads and increase your bottom line by connecting with the decision-makers positioned to make a difference. 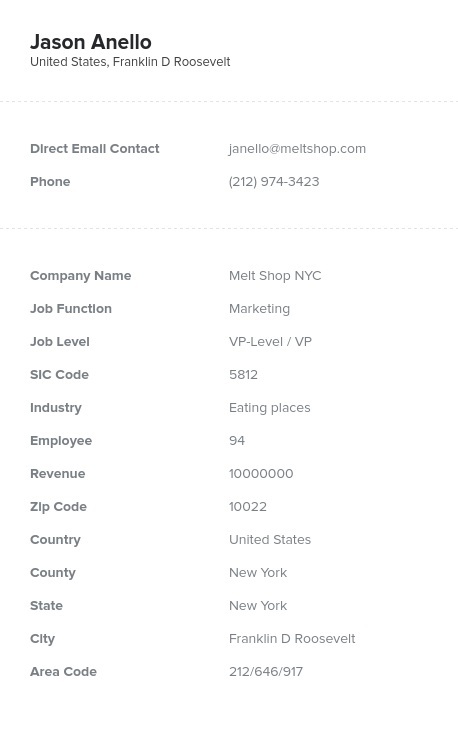 Our human-verified VP of marketing mailing list gives you the detailed and direct contact information you need to reach major decision-makers in your target industry. Buy, download, and integrate our marketing vice presidents email marketing database today and start connecting with the right people.